Finding better-for-you breakfast foods that are also delicious and filling can be a bit of a challenge. 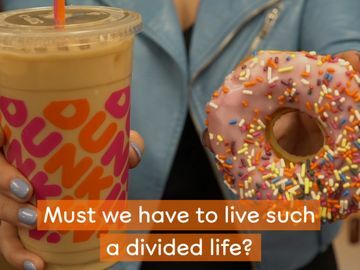 Fortunately, Dunkin’ Donuts’ Quaker® Oatmeal is here to solve your morning dilemma! 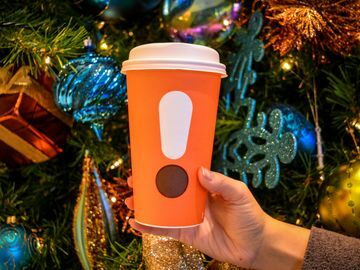 In celebration of this great addition to our DDSMART menu of better-for-you choices, we have decided to share a special Ode to Oatmeal to get you in the spirit! 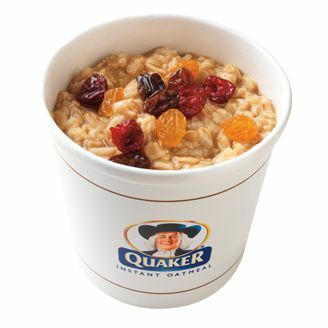 Have you had your DDSMART Oatmeal this morning? If you are looking for a nutritious start to your morning and to keep your New Year’s resolutions running, we believe that you should fill your bowl with something extraordinary! Dunkin’ Donuts Oatmeal comes in two tasty varieties, Original and Maple Brown Sugar. We have also created a special blend of dried fruit—including cranberries, raisins, and golden raisins—to add extra flavor on top. Looking for some eDDible education? Check out these facts to become an oatmeal expert! 1. 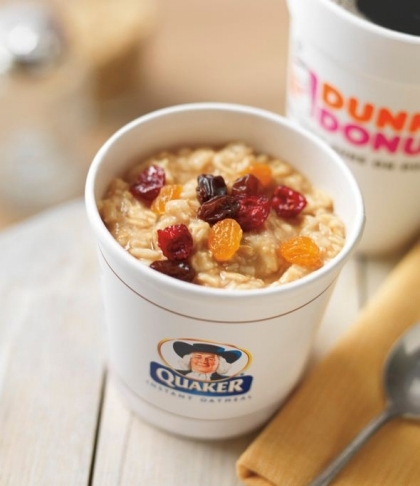 DDSMART and good for the heart: At only 300 calories, Dunkin’ Donuts Oatmeal is a better-for-you choice. 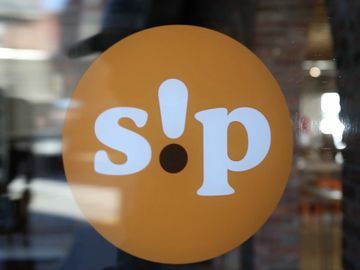 GooDD news: the benefits don’t stop there! The FDA recognizes that oats can lower the risk of heart disease and reduce cholesterol. Also, did you know that February is National Fiber Focus Month? Oatmeal is an excellent source of the daily fiber that you need. 2. All stocked up: 80% of U.S. households keep oatmeal in their cupboards. 3. 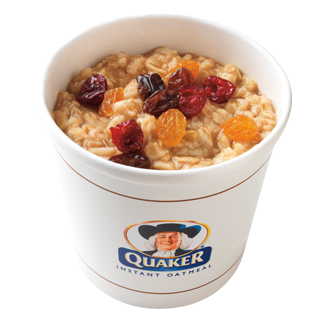 Before the Days of Dunkin’: Oats were discovered in ancient China around 7,000 B.C. The ancient Greeks were the first people to produce a recognizable cereal from oats. 4. Beyond the bowl: Most people think of oatmeal as a classic comfort food, but there is still plenty of room for creativity! Use a little bit of oatmeal to jazz up your trail mix, smoothies, yogurt, salads, meatloaf, or—get this—a peanut butter and jelly sandwich! 5. Grab your spurtle: The Golden Spurtle World Porridge Making Championships have been held every year in the U.K. since September 1994. “Spurtle” is the Scottish word for the wooden spoon used to stir porridge . A healthy breakfast is a happy breakfast! Try DD Oatmeal with our special dried fruit on top. 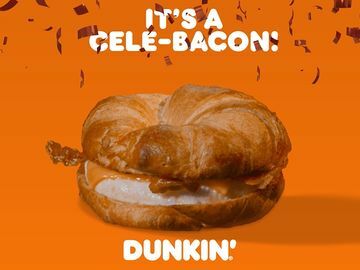 Why do you choose Dunkin’ Donuts Oatmeal for breakfast? 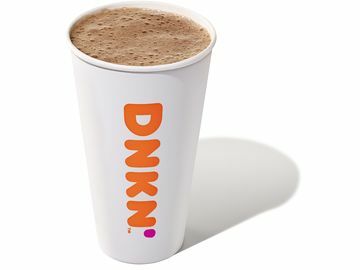 Be sure to tell us on the Dunkin’ Donuts Facebook page, and remember that the best things in life are stirreDD, not shaken!